All about astrology, horoscope 2017 & kundli. Hope you will like it. hi ..want to consult you...kindly intimate ur email id . my DOB is 24.04.1983 and time 4.00 am. just wanted to know how the future of andhra pradesh will be? will it be divided? once CM met accident and dead. governer defamed ,state was restless etc. hi my d.o.b is 29/11/1989 pls tel me about my studies nd atleast in future i will be happy. 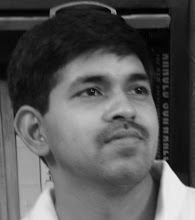 I am Punit Pandey and I write this blog. People call me "Hi-Tech Astrologer" or "Digital Age Astrologer" because of my extensive usage of technology in astrology. I strongly believe that technology can help in improving accuracy of an astrologer tremendously. My interest in astrology started around two decades back when I picked up few astrology books from a small bookshop in my village. Though later on I realized that my inclination towards Jyotish, Ayurveda and Tantra etc. was very much natural as I am a Bhrigu Gotriya Brahmin and my forefathers were also astrologers. I studied various systems of astrology including Parashari, Jaimini, Tajik, Western, Krishnamurthi and Lal Kitab, and found all these systems wonderful. I worked as 'Associate Editor' for 'Vedic Astrology and Spirituality', a monthly magazine published from NJ, U.S.A. I am 'Jyotish Visharad', though personally I don't see these certifications any valuable. I have also written extensively for various magazines and news papers like Kadambini, Dainik Jagran, Prabhat Khabar etc. I have also studied astronomy and mathematical astrology and that is the reason I contributed to many astrology software and websites. The software like 'Mobile Kundli' - the first detailed astrology software for Palmtop (pocket) computers, AstroSMS – first SMS based astrology software, AstroWAP – the first astrology software for WAP & GPRS Mobile phones etc. I am also behind AstroSage.com, the Web 2.0 astrology software & among the most popular Vedic astrology websites in the world. I am also behind some of the biggest astrology communities on Internet like KP Astrology & Lal Kitab communities. How to find profession of a person astrologically? This is a personal weblog. The opinions expressed here represent my own and not those of my employer or AstroCAMP. All data and information provided on this site is for informational purposes only. This blog makes no representations as to accuracy, completeness, currentness, suitability, or validity of any information on this site and will not be liable for any errors, omissions, or delays in this information or any losses, injuries, or damages arising from its display or use. All information is provided on an as-is basis. In case any disputes the court of law shall be the only courts of Agra, UP (India).